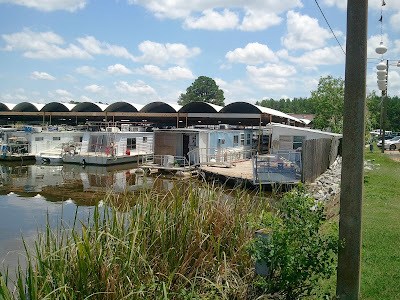 The Pearl River Valley Water Supply District has filed a lawsuit against Safe Harbor Marina, the marina is located on Highway 43 across from Tommy's Trading Post. The suit, filed in Rankin County Chancery Court, alleges that "Safe Harbor is in default of and has breached the terms of the Safe Harbor Lease requiring it to keep the Property in good order and in a good state of repair". Last summer the PRVWSD hired Neel-Schaffer, Inc. to perform inspections of all marinas on the reservoir. In July 2011 Safe Harbor was inspected and the subsequent report listed numerous violations. The suit contends "Some of the deficiencies include, but are not limited to, electrical items that do not comply with current codes, sanitary sewer leaks, inadequate fire protection, illicit discharge being released into the reservoir, shoreline erosion, structural deficiencies, and derelict and/or abandoned boats and vehicles stored on the Property". h. Any other and further relief as the Court deems just and appropriate. This the 15th day of June, 2012. 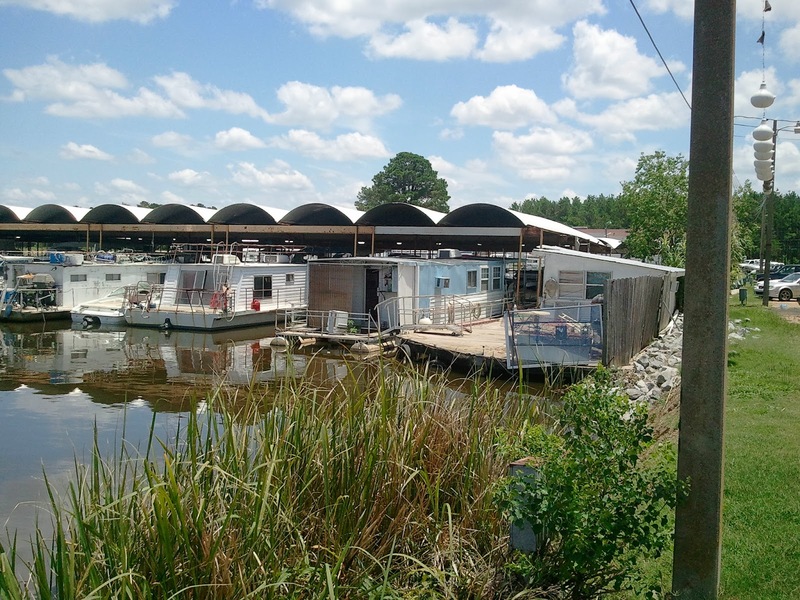 The Safe Harbor Marina property is in generally poor condition. 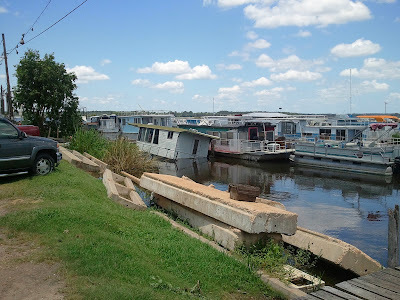 Significant repairs are needed to fix electrical and structural deficiencies in the marina and the mobile home community. In addition, a system identifying the units in the mobile home community is needed to allow emergency services to locate residences. 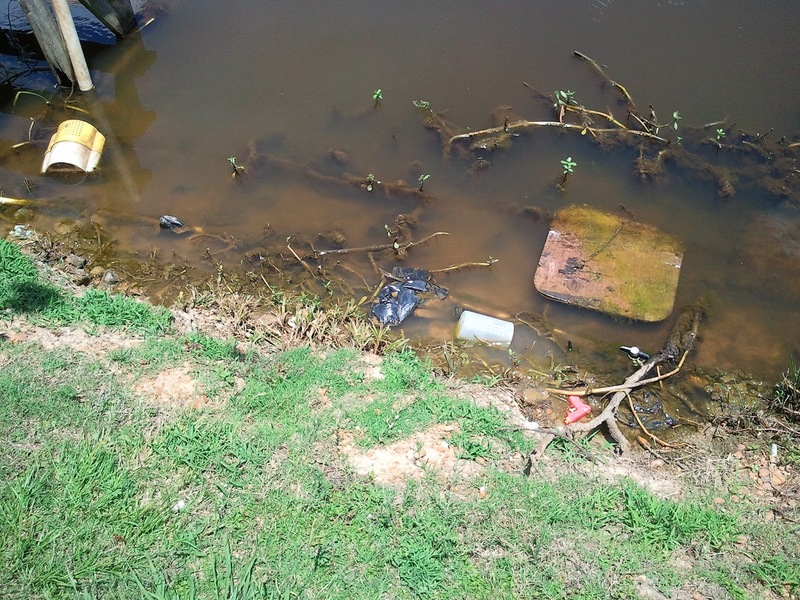 Illicit discharge of waste water into the reservoir are being allowed in the marina. There are also significant problems with the sanitary sewer collection system in the mobile home community. Fire protection for the facilities is questionable. There are no fire hydrants on the property. The reservoir provides a readily available source of water but the fire fighters would have to be properly equipped to utilize it. The mobile home community is laid out in a rather haphazard and disorganized fashion. There is apparently no regulation covering how this community was developed. The district might consider enacting an ordinance to govern the development of similar communities. Marina users need to be informed of proper methods of making power and water connections to vessels. Users should also be strictly prohibited from making unauthorized modifications to marina facilities. It is imperative that the marina demonstrate that it has a viable spill prevention, control and countermeasures plan for its fuel storage and dispensing system. Employees must be trained on the plan and required to adhere to it. A copy of the lawsuit and exhibits A through C are available here - exhibit C is a letter from Greg Stevens with Safe Harbor responding to a PRVWSD letter informing him of the deficiencies that need attention. Exhibits D and E, available here, are copies of the Neel-Schaffer inspection reports. The following pictures of the Safe Harbor area were taken by The Rez News on Monday, June 18th. Why was it allowed to get to this condition? Glad to see this. I stopped by there the other day adn it looked like crack ville. Way to go PRV!! What development is PRV wanting the property for? And yes the property needs some TLC. Shame the leasee hasn't at least tried. Property has more potential than its past 15 years of use. It appears that the PRV wants to take back the lease and then find someone to develop it so that it will produce more revenue than it is in the present slum state. Developing that site is a great business opportunity. I wish I was 30 years younger. Alright! Here comes the Harborwalk Pt. 2! WAIT! Something funny going on here. PRV just wants to take Greg Stevens infrastructure from him? Smells bad. PRV looking for a new way to make a lot of money. Just like all the land AND TIMBER taken under EMINENT DOMAIN back when rez was built. We think there needs to be some transparency into PRV. Glad this is taking place. Bad element. Needs to be totally rebuilt. Wait a minute....Isnt there a sail boat dock of sorts over there too? What about the folks who arent trashy...they closed some peirs over at Main Harbor whine that nosense started..Safe Harbor really grew from that right? Where will these folks go? Now that the place is under New ownership there need to be New management too. If the management was doing what she should have been doing then that place would have never gotten that way. Now they want to try to make changes over night. It would be real nice if the people that lived there could meet the New owners face to face and talk with them about there concerns and get a idea of what was to come and how long they had to make the changes needed to continue living where so many have called home for many years. There are a lot of us that do pay our rent on time and do what we can to make it. It would be real nice to meet the New owners to talk to them instead of hearing from failed management about what they want and rumors. 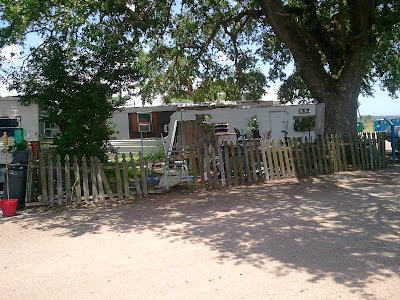 The people that live in that trailer park are scary. They stay up all hours of the night and there is always something funny going on. Bad element and needs to be cleaned up. I say let Mr. Burwell redevelope it also. Does the PRV have any rules and regs in place directed toward marinas? Its no longer under new ownership. The old owner decided not to sell it to Mr. Hawkins. Even after Mr Hawkins put money down and started a new business, not to mention cleaned the place up a little. I believe the new owner got a lawyer to help him get the PRV to drop their lawsuit then the new owner decided he was going back on his word and now he is trying to sell it to his lawyer instead of Mr. Hawkins. Mr. Hawkins went in and was doing very well with his new business and they saw this and decided to screw him. Takes a person with a lot of class to pull this move. Im sure Mr. Hawkins is going to sue him in court and he will end up with it anyway but we all know how long that can take. Scum like the old owner should be thrown in jail but I quess this is america and its not illegal to be a P.O.S. What's up with all the boat salvage trash on the "point" at safe harbor? Did they just get what they wanted,tear ip the lawn and leave the mess until? ??? According to my info... the "old owner" is the one that made the current mess with the boat salvage project. And the current mangmnt.. is waiting for him to clean up the mess. What a farce! If he didn't do anything to clean or keep things nice here before...., why would he care now? Looks like a garbage dump and growing!